Get the new Pink John Deere party supplies. These pink supplies are a new addition to the birthday party theme supplies we usually offer and girls love them. 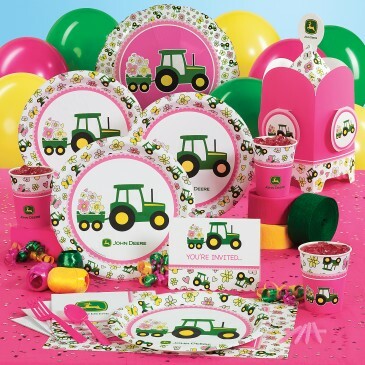 John Deere is a very popular kids birthday party theme, take a look at these fun party accessories. There is a really beautiful party banner, a tractor photo stand and even a fun filled John Deere party favor box filled with goodies the kids at your birthday party will love. 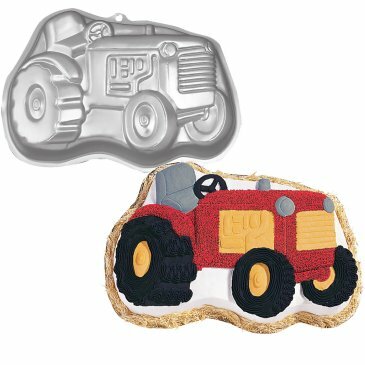 Play some farm games, take a photo of everyone by the tractor stand up and make some cupcakes using farm animal cupcake toppers. 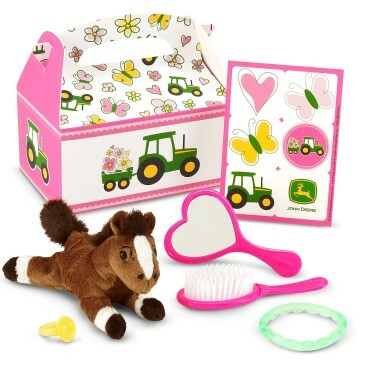 It's easy to plan a John Deere birthday party for girls in pink or use the regular green and yellow supply pack for boys and girls. Find out more about John Deere party supplies at John Deere Party Supplies. Join in and write your own page! It's easy to do. How? Simply click here to return to Submit Your Party Story.